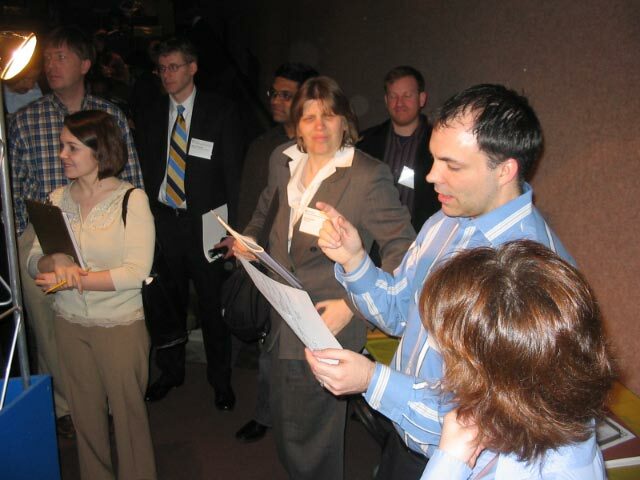 Law students teamed with attorneys from other CIPA founders to judge Chicago Science Fair entries for the CIPA “Most Inventive” awards March 23-25 at the Museum of Science and Industry. The three student winners showed remarkable creativity and effort. The first place winner of the $500 prize is Shaun Humes, a senior at Walter Payton College Prep. Shaun’s entry is entitled, “The Turbine-Controlled RAM Air Intake.” CIPA will also assist Shaun in preparing and filing a patent application. 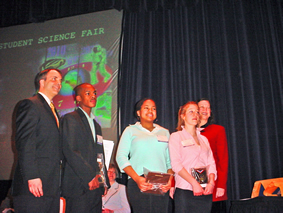 The $300 second prize was awarded to Kelsey Riley of Kenwood Academy High School for her project entitled, “Extracellular Preservation of DNA.” Marguerite Korenblit of Lincoln Park High School won the third prize of $200 for her project entitled “5A12 MAB to Keratan Sulfate as a New Tool.” In addition to the cash prizes, each of the winners will also receive award plaques and congratulatory letters from CIPA. CIPA judges – law students and attorneys – grade the project according to CIPA criteria. “It is always gratifying to see how many lawyers and law students are willing to volunteer their time for the science fair,” said Steve Parmelee, a Chicago patent attorney and member of CIPA’s science fair committee.